Frequently Asked Questions – Friends of Churchill Island Society Inc.
Where do I find information about activities on Churchill Island? How do I get to Churchill Island? By car – the drive time is about 90 minutes from Melbourne. By visiting Churchill Island as part of a tour from Melbourne. Whatever your choice, we are sure you will have an amazing time on our wildlife island. Churchill Island (off Phillip Island) is an easy 90 minute drive from Melbourne. Travel along the Monash Freeway (M1) away from Melbourne and turn off at the South Gippsland Highway exit. Continue travelling on the South Gippsland Highway (M420) and follow the signs for Phillip Island onto the Bass Highway (A420). Continue onto the Phillip Island Tourist Road (B420). At San Remo, cross the bridge onto Phillip Island. Follow the signs to reach the Penguin Parade, Koala Conservation Centre, Churchill Island Heritage Farm or the Nobbies Centre. These attractions are no more than a 10-15 minute drive from each other. Churchill Island is a 57 hectares (about 141 acres) island in Western Port, Victoria, Australia. It is connected by a bridge to Phillip Island. It is the site of the first European garden in Victoria. Where do I find information about the Aboriginal Heritage of Churchill Island? Where do I find information about European Settlement on Churchill Island? Is there a book about Churchill Island? The second edition of Pat Baird’s Book: Churchill Island – History and Her Story is now available. 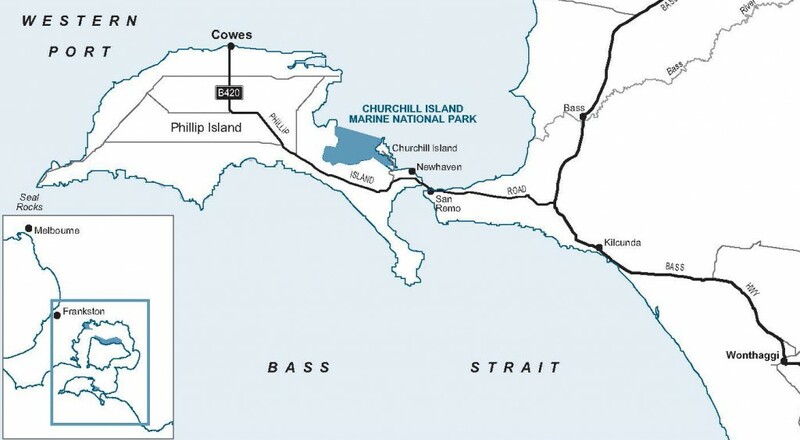 Where do I find information about Churchill Island Today? Where do I find information about the Churchill Island Canon? How do I find out when the next meeting will be held? Where are meetings normally held? How do I find out about the next working bee? Where do I find information about the collection of Churchill Island Heritage Items? Does the Society publish a newsletter? The Friends of Churchill Island Society publishes a newsletter on a regular basis. The newsletter is called FOCIS News. The newsletter is distributed to members of the Society by email or post depending on the member’s preference. The latest edition of the newsletter is available online to members only. Where do I find the Rules of the Society? Unlimited entry to Churchill Island during operating hours plus discount for special events. 25% off entry fees to Phillip Island Nature Parks attractions. 20% off purchases in Phillip Island Nature Parks Gift Shops. 10% off cafes – Churchill Island, Penguin Parade & Koala Conservation Centre only (excluding liquor). Regular issues of the FOCIS Newsletter which will be sent to you by email or post. Access to the full range of Web Site facilities including the most recent edition of the FOCIS Newsletter which is available for online viewing and download. Please note that the subscription rates quoted above for paying online are slightly higher than the rates quoted for payment by cheque or money order. This is to help cover the Society’s costs for the merchant fee that is charged for each online transaction. The membership year for the Friends of Churchill Island Society Inc. is for 12 months from 1 July to 30 June. If you join during the first 9 months of the membership year, i.e. between 1 July and 31 March, your membership term starts as at 1 July of that membership year. If you join during the last 3 months of the membership year, i.e. between 1 April and 30 June, your membership term starts as at 1 July of the next membership year. Your membership of the Friends of Churchill Island Society Inc. expires at the end of the membership year, i.e. on 30 June. If you renew your membership before 30 June, your new membership period starts on 1 July. If you have not renewed your membership by 30 June, your membership becomes Overdue and you will have a 3-month period of grace, i.e. from 1 July to 30 September, where you will still receive the benefits of membership including receiving the FOCIS newsletter. If you renew your membership during this period, i.e. by 30 September, your new membership period will start from 1 July. If you have not renewed your membership by 30 September, your membership becomes Lapsed and you will no longer receive any benefits of membership. If I join part way through the membership term, do I have to pay the full amount? Yes. If you join the Friends of Churchill Island Society part way through the membership year, you need to pay the full subscription. However, if you join during the last 3 months of the membership year, you membership will start from the 1st of July that year. There are two ways you can apply for membership of the Friends of Churchill Island Society Inc. Submit an online application and pay online using your credit card/debit card or your PayPal account. Download and print a membership application form and pay by cheque or money order. Do I need to login to the web site to apply for membership? No. There is no need to login to the web site with your web site username and password to submit a membership application or renewal. Pay online using your credit card/debit card or your PayPal account. In either case, there is no need to login to the web site with your web site username and password. Now that I’ve applied for membership, when will I get my membership card? Once you have submitted your application for membership of the Friends of Churchill Island Society Inc., your membership card(s) will normally be sent to you at your nominated postal address the week after the Membership Secretary receives your payment. There are two ways you can renew your membership of the Friends of Churchill Island Society Inc.
Do I need to login to the web site to renew my membership? Now that I’ve renewed my membership, when will I get my new membership card? Once you have renewed your membership of the Friends of Churchill Island Society Inc., your new membership card(s) will normally be sent to you at your nominated postal address the week after the Membership Secretary receives your payment. Can I pay for my membership using my credit card/debit card? Yes. You can pay for your new membership or your membership renewal using your credit card or your debit card. There are two ways you can apply for/renew your membership of the Friends of Churchill Island Society Inc.
Can I pay for my membership by cheque or money order? Yes. You can pay for your new membership or your membership renewal by cheque or money order. Can I pay my membership subscription using electronic funds transfer (EFT)? The Society does not favour the use of Electronic Funds Transfer (EFT) for paying membership subscriptions. It’s easy for errors to occur. It’s extremely difficult to obtain an accurate record of who has made a payment and what the payment is for. It’s not user-friendly because you first have to access the Society’s web site to submit your application and take a note of how much is owing. You then switch across to your bank’s Internet banking web site and login to your Internet banking service. You enter the payment details including the amount previously noted – hopefully you enter the amount owing without making a transcription error. You enter your name in the very limited space that is available (if you have a very short name, no problem but if you have a longer name, you will have to abbreviate). You also enter the reason for the payment. You have a very limited amount of space for this so you will need to get creative when you try and explain what the payment is for. However, when the payment is handled via PayPal, you only enter the data once because your order and your payment are handled together. It’s easy for errors to occur because you have to make sure that you enter the Society’s BSB number and bank account number correctly. You might enter the account number incorrectly but that number may represent a valid bank account. In this case, the money is transferred into the wrong bank account. This causes problems where you insist you have paid but the Society insists it never got the money. However, when the payment is handled via PayPal, the payment is sent to the Society’s PayPal account automatically and you do not have to enter any account identifiers. When you use your Internet banking service, there is limited space available for you to enter your name. There is also a limited amount of space for you to enter the reason for the payment. When the Society gets the bank statement, we then have to try and decipher the shorthand entries on the statement so that the payments can be properly accounted for. However, when the payment is handled via PayPal, the Society receives an email with the full details of your payment including your name, your address, your email address, the amount of the payment and the reason for the payment. You also receive an email with this same information. Can I pay for my membership using my credit card/debit card over the phone? We can ONLY accept Credit Card and Debit Card payments online via this web site. We CANNOT accept Credit Card and Debit Card payments by phone, by email, by post or in person. Are there any other payment options for paying my membership? Will I receive a receipt for my membership payment? The Society issues membership cards but it does not normally issue receipts. I’m not sure about my membership status – how do I find out? Preferred means of receiving documents about Annual General Meetings and Special General Meetings. Preferred means of receiving membership renewals and reminders. Preferred means of receiving other correspondence. Preferred means of receiving the FOCIS Newsletter. What payment options are available with PayPal? Payment from your PayPal account. Electronic Funds Transfer (EFT) from your bank account. In this case, you need to have a PayPal account and you need to link your bank account to your PayPal account. In this case, you don’t need to have a PayPal account and you can submit your payment using your credit card. When you submit your payment, PayPal will invite you to open a PayPal account but this is optional. In this case, you don’t need to have a PayPal account and you can submit your payment using your debit card. When you submit your payment, PayPal will invite you to open a PayPal account but this is optional. Are there any extra costs for members who wish to use this service? If there is no currency exchange involved with your payment, e.g. the item you are purchasing is priced in Australian dollars and you are paying in Australian dollars, there is no extra cost to you, the purchaser, for using PayPal (even if you choose to pay by credit card). However, if your payment involves a foreign currency, e.g. the item you are purchasing is priced in Australian dollars and you are paying in British Pounds, then you will be charged a foreign currency fee by PayPal. You have the option of creating your own personal PayPal account. Use your PayPal account as your source of funds. Use your bank account as your source of funds. Pay using your debit card. If you do decide to create your own PayPal account, there are no establishment fees or annual or monthly fees or any other fees. Please note that although there no fees charged by PayPal, your bank or credit card provider may charge you a fee. Is there any cost to the Society in using this service? There is no cost to the Society for the establishment of the Society’s PayPal merchant account and there are no annual or monthly fees. However, the Society does have to pay a small transaction fee for each PayPal transaction. This is similar to the merchant fee that would apply for any credit card transaction. How is this different from the Society operating as a credit card merchant? If the Society was to become a credit card merchant, there would be many other fees in addition to a transaction fee for each transaction such as establishment fees, joining fees, annual administration fees, monthly access fees, minimum merchant service fees, credit card authorisation fees. On the other hand, as a PayPal merchant, the Society only has to pay a small transaction fee for each PayPal transaction. This is similar to the merchant fee that would apply for any credit card transaction. How is this different from electronic funds transfer (EFT)? Can I make an Online Payment using my credit card/debit card? Yes. You can make an online payment using your credit card or your debit card. If you choose to use your credit card or your debit card, you don’t need to have a PayPal account and you can submit your payment using your credit card/debit card. When you submit your payment, PayPal will invite you to open a PayPal account but this is optional. Can I make an Online Payment using my PayPal account? Yes. You can make an online payment using your PayPal account. Can I make an Online Payment from my bank account? Yes. You can make an online payment using funds in your bank account. If you choose to use your bank account as your source of funds, you will you need to have a PayPal account and you will need to link your bank account to your PayPal account. Do I have to enter my mobile phone number when I make an online payment? No. There is no need to supply a mobile phone number when you make an online payment. However, if you wish to pay using a credit card or debit card, there is a need to supply a phone number which could be a mobile number, a home number or a work number. On the other hand, if you choose the option “Pay with my PayPal account”, you can simply login to your PayPal account to complete the payment. In this case, you will be able to choose your funding source which could be your PayPal account, your linked bank account, your credit card or your debit card. Sending money over the Internet sounds like a giant leap into 21st century technology wizardry? The World Wide Web has been with us for 25+ years. Sir Timothy John “Tim” Berners-Lee, OM, KBE, FRS, FREng, FRSA, DFBCS, a British engineer and computer scientist and MIT professor is credited with inventing the World Wide Web, making the first proposal for it in March 1989. Electronic commerce over the Web (including online payments) has been around for over 20 years, the most famous example being amazon.com which has been in business since 1994. Online auctions have been around for 20+ years, the most famous example being eBay which was founded in 1995. PayPal has been in business since 1998. As of 2014, PayPal operates in 203 markets and has 152 million active, registered accounts. PayPal allows customers to send, receive, and hold funds in 26 currencies worldwide. PayPal is a secure electronic payments service that makes it easy to transfer funds using the Internet. What can I do with PayPal? Send money to anyone with an email address or mobile phone number. Buy items on eBay and at millions of sites that accept PayPal. Shop without sharing your financial information. Select from a list of currencies when making a payment. Accept payments from Credit Cards, Debit Cards and Bank Accounts. Accept Credit Cards and Debit Cards without the need to become a credit card merchant. Integrate your web site with PayPal to provide a seamless experience for the user. Allow the buyer to select from a list of currencies when making a payment but have the payment credited to your account in a currency of your choice, e.g. Australian dollars. If you are using your credit card or debit card you don’t need to have a PayPal account to use PayPal. If you wish to pay by transferring funds from your PayPal account or your bank account, you will need to open a PayPal account. You will be asked to supply your name and address details and you will need to confirm your identity with PayPal. How do I send money to another person using PayPal? You can send money to anyone who has an email address or mobile phone. You can do so using your computer by logging on to your PayPal account and selecting the Send Money option or by logging on to your PayPal account using your mobile phone. You simply enter the recipient’s email address or mobile phone number, the amount, the currency you wish to use and press Submit. After you send money, the recipient receives an email notification of your payment. After clicking on the link included in the email, the recipient can log in to PayPal or sign up for a new account, and the money will immediately appear in his/her account balance. How do I receive money using PayPal? Payments are sent to you using your email address or mobile phone number. When a payment is sent to you, you will receive an email notification saying you received a payment. If you have a PayPal account, log in to your account to view the details of your payment. If you don’t have a PayPal account, you can quickly sign up for one and confirm your email address to receive the payment. As soon as you receive the payment, it goes into your PayPal balance. When you have a PayPal balance, you can either use those funds to send a payment or you can withdraw the funds. Someone owes me money – can I use PayPal to ask for payment? Yes. You can request a payment from anyone with an email address, even if they do not have a PayPal account. You can do this by going to the PayPal web site and selecting “Request Money”. You simply enter the recipient’s email address, the amount, the currency you wish to use and details of the request. After you submit the request, the recipient will receive an email with instructions on how to pay you using PayPal. How can I use my money once I have funds in my PayPal account? Use the funds to send money to anyone with an email address or mobile phone number. Use the funds to pay for goods or services supplied by anyone who accepts PayPal. Transfer some or all of the funds to your linked bank account. Yes. The PayPal site is highly secure. They use industry-leading technology (such as SSL) to keep your information safe. What Makes the PayPal Service So Secure? With PayPal, you’ve got the industry’s most experienced fraud team on your side. PayPal processes billions of dollars in payments each year, allowing us to continually perfect our anti-fraud protections. As a result, PayPal’s loss rate is significantly lower than the industry average. We also work with federal law enforcement to catch criminals. PayPal is committed to protecting the privacy of our users. When you send or request money using PayPal, recipients never see your bank account numbers or credit card numbers. They only see your email address, date of sign-up, and whether or not you have completed PayPal’s Verification process. Unless you specify otherwise, donations are held in the FOCIS Churchill Island Heritage Fund. Donations of $2.00 or more to the FOCIS Churchill Island Heritage Fund are tax-deductible. The FOCIS Churchill Island Heritage Fund has been endorsed as a DGR (Deductible Gift Recipient) Fund and is listed on the Register of Cultural Organisations (ROCO) maintained under Subdivision 30-B of the Income Tax Assessment Act 1997. Where can I find more information about the Donations Fund? Yes. A Tax Receipt will be issued by the Treasurer as soon as the payment is received. The receipt will be sent to you at your nominated postal address. Do I need to login to the web site to make a donation? No. There is no need to login to the web site with your web site username and password to make a donation to the FOCIS Churchill Island Heritage Fund. Can I make a donation and pay for it using my credit card/debit card? Yes. You can pay for your donation using your credit card or your debit card. Download and print a donation form and pay by cheque or money order. Submit a direct deposit into the Society’s bank account for the Heritage Fund and then submit an online form to tell us where to send your Tax Receipt. Can I make a donation and pay for it by cheque or money order? Yes. You can pay for your donation by cheque or money order. Can I make a donation and pay for it using electronic funds transfer (EFT)? Yes. You can pay for your donation using electronic funds transfer (EFT). Can I make a donation and pay for it using my credit card/debit card over the phone? Are there any other payment options for making a donation? Clicking on the User Profile menu item at the top of the page on the right hand side. Selecting the Change Password option. Clicking on the Login menu item at the top of the page on the right hand side. Selecting the Click here to reset option. If you’ve forgotten your password, you can reset it by clicking on the Lost Password menu item in the menu at the top of the page on the right hand side. Selecting the Edit My Information option. Access the latest edition of the newsletter, FOCIS News. 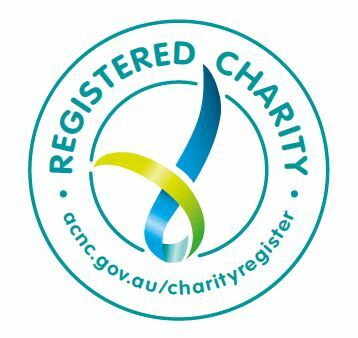 There is no need to login to the web site with your web site username and password to make a donation. When do I need to logout from this web site? If you have logged in to this web site with your web site username and password, you do not have to logout from the site. If you do wish to logout, you can do so by clicking on the Logout menu item at the top of the page on the right hand side. If you wish, you can simply close your browser window. When you close your browser window, your session will be terminated and you will need to login again with your web site username and password. However, if you selected the Remember Me option when you logged in, the system will resume your session and you will not have to login again with with your web site username and password.